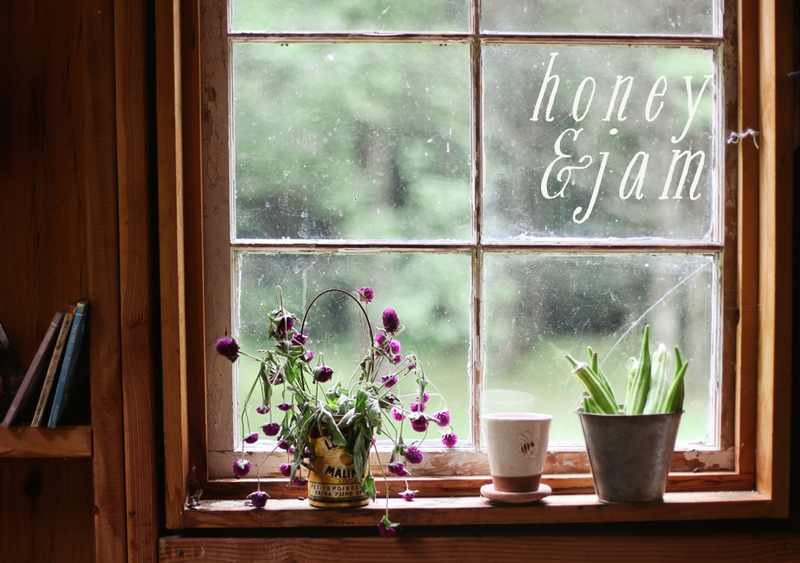 honey & jam | recipes + photos: Sewing, Baking, and Crafting. 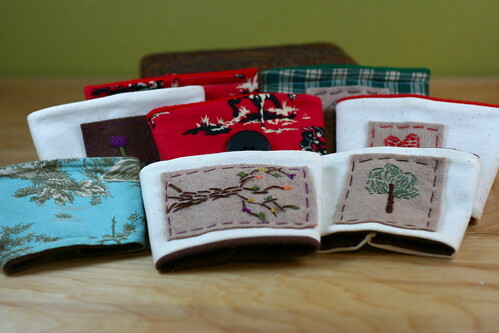 Yesterday we made a bunch more coffee sleeves, we are thinking about selling them in local shops. Making a little extra money would be nice! 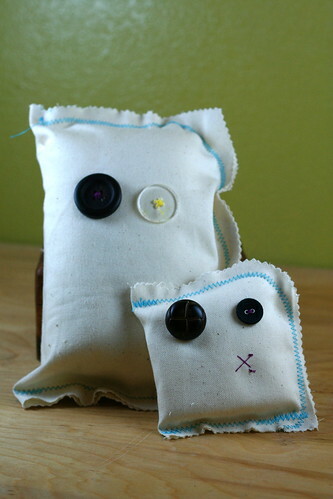 Sarah and I also made these little pillow creatures. they are just fabric filled with quilt batting. they are kind of cute in a bizarre way. haha. Combing shortening, sugar, molasses and egg and beat with mixer. Sift together flour, salt, baking soda and spices, add to to sugar mixture and mix well, Chill dough. Form into 1 inch balls, roll in sugar (i used cinnamon sprinkles!) and place on greased (i used parchment) cookies sheet 2 inch apart. Don't press down! Bake for 10 (mine took 15) minutes. i really want to get out and just take some photos, but i haven't had time lately, plus it's been rainy and overcast every day. i'm going to try to do that this weekend. Also, today is my one month blogging anniversary! It's been fun. The rules are you have to grab the nearest book, go to the 123rd page and write down the 5th, 6th, 7th, and 8th sentences. The book nearest to me was the cookbook Baking Basics and Beyond. 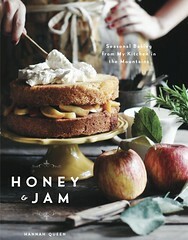 I swear my blog is becoming one big ad for this book. hahha. But I have to follow the rules! The same method is used to cut in the butter or shortening when making the biscuit dough for cobblers. The biscuit topping on cobblers needs to be baked until golden brown. Bake crisps, cobblers and brown Bettys until crisp fruits are fork-tender and the slightly thickened juices are bubbling away. Serve these homespun desserts warm with ice cream, whipped cream or creme fraiche. Good to know. Confession: I like cobbler more than pie. Thanks for tagging me, Hillary! Good luck selling your coffee sleeves in local stores! I think they would do great. If you do begin selling them, let me know! The pillow creatures are so cute also. The creatures are cute and eclectic! 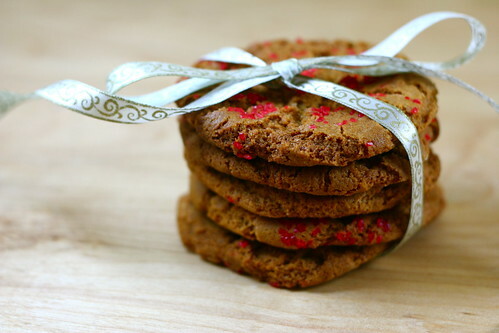 The recipe looks yummy; I love ginger snaps. sleeves, and maybe they'll feature them in a post. thanks for the tips! i'll definitely show them to my sister, sounds great! yum that sounds good:) you should definitely read Redeeming Love. This is my second time reading it. Its such a beautiful picture of what REAL love is like. What a GREAT looking ginger snaps. It looks so beautiful! yummy.... Thanks so much for sharing.